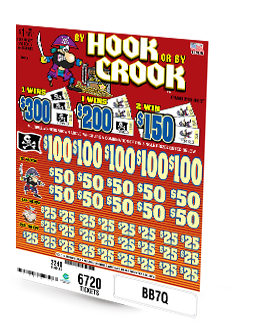 Arrow International, Inc. is the world's largest full-line manufacturer of charitable gaming products. From our headquarters in Cleveland, Ohio, to our several facilities throughout North America and Europe, Arrow has provided rewarding career opportunities and job security for over 50 years. As a family-owned company, we employ a large workforce with a small company feel. If you are driven, ambitious, and looking for an environment where you can take pride in your accomplishments, we'd love to hear from you. 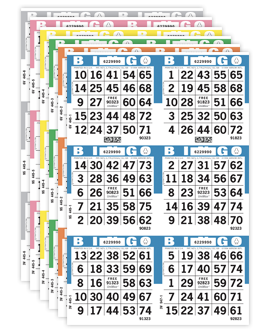 Arrow's extensive product line consists of a full variety of high quality bingo paper, Popp-Opens® pull tab tickets, jar tickets, award winning bingo ink markers, electronic gaming equipment, and various gaming accessories. Every single day, we work to create better products, ideas, and tools to provide our customers with the largest selection of creative and custom gaming solutions that ensures their ability to generate the funding that they need to support their worthy causes. Our people make Arrow a fun place to work, and that’s important when our main goal is to create fun games that people love to play. Our products help charities provide essential resources to local communities - everything from new fire trucks and service vehicles, to children’s sports, health, and church related causes. We’re proud to manufacture a majority of our charitable gaming products at our facilities throughout the USA. Arrow was founded on the principles of maintaining the highest standards of integrity, excellent service, and quality products. This commitment has allowed us to strengthen our position as the industry leader and ensure that we never lose sight of our most valuable asset: our people. We strive to promote a culture of growth and success, for our business as much as our talented team members. We believe this commitment will allow us to continue to provide an engaging environment where our people thrive. At Arrow, we aim to build a winning culture and positive work environment where everyone is a member of the same team. Our company’s ability to maintain a position of leadership comes down to having the right people. We pride ourselves on being the best in our industry, and want all team members to feel as proud to be a part of the company as we are. We’re committed to providing the people that represent the future of our success with a fulfilling career where contributions are recognized, valued & rewarded. Arrow believes in rewarding team members for their contributions to the success of the company. Every year since 1978, team members have received a profit sharing bonus. Planning for retirement is important. Arrow wants to make it easier for team members to invest in their future by offering a 401(k) match program. Great talent can be hard to find. Team members are rewarded for their efforts when they help us find the right person for the job. From our fully air conditioned manufacturing and distribution warehouses to our brand new product development studio, Arrow’s state-of-the-art facilities offer up world class working environments. Team members have the flexibility to manage their work-life balance with paid holidays and vacation time, including a bonus week every July. Our comprehensive benefits package includes medical, dental, vision and life insurance plans, along with flexible spending and health savings accounts. "Arrow is a place where a person can grow and have a long career. They continually give back to the people that keep the company growing." "I began my career with Arrow as a packer, and within a short period of time I was promoted to lead and then supervisor. Arow offers plenty of opportunities for advancement." 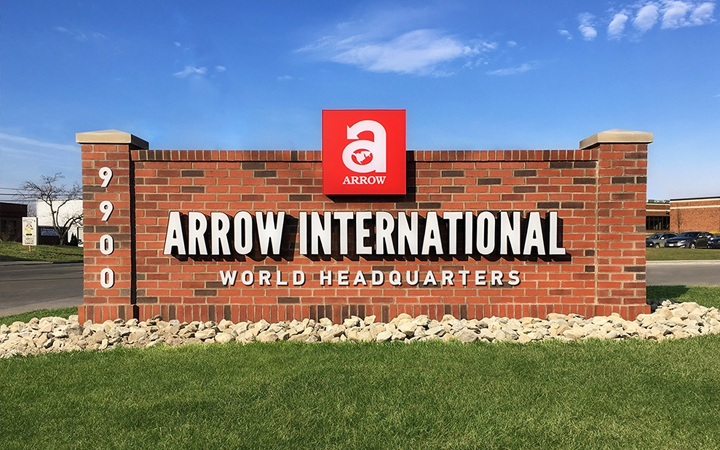 "I am very happy working for Arrow International. The people are nice and friendly, and everyone has a great team spirit! I like that very much." "In a time where layoffs and downsizing seem to be the norm, it's great to work for a stable, growing company that has never had a layoff." "Finding a working environment where I could grow and develop was really important to me. Arrow's hard working, team-oriented culture continuously challenges everyone to reach their goals. I get to work with so many talented and experienced people every day that I'm constantly learning from." "My career at Arrow has been full of challenges, reward, and success. Arrow is a company that recognizes hard work and dedication. I look forward to future challenges and opportunities for further advancement." Ready to Begin Your Career With Arrow?